← happening in my life. While looking forward to the monthlong learning experience I begin next week, I’m sad knowing my garden will suffer while I’m gone. It’s not that there aren’t others to fill in the gap for me, but they don’t look at things the way I do. If I ask for things to be watered if they need it, the question is inevitably “HOW DO I KNOW IF IT NEEDS IT?” If you are a cook-by-heart instead of by numbers type person, you’ll get what I’m saying: you just know. My plants and I have developed an intimacy that goes on smell, look, and sound. Even if I cannot tell you the specific cultivar name of a hand-me-down flower from a neighbor, I know her needs. I’m gonna miss my garden. Speaking of intimacy with plants, hope you’ll introduce a child in your life, or the child in YOU, to my favorite wildflowers by sharing their stories. 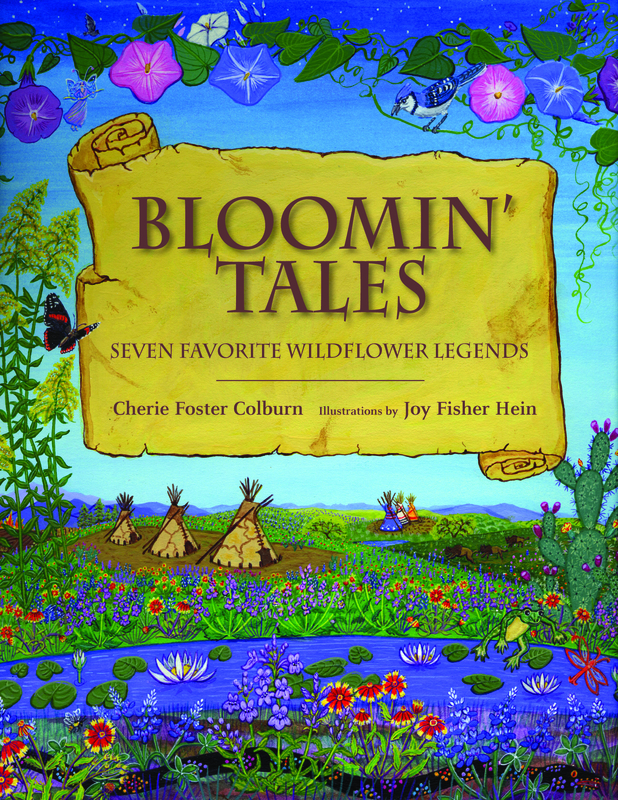 I’m giving away a copy of BLOOMIN’ TALES and would love for YOU to win it! Just go to my author page on Facebook, LIKE it, and let me know you want a book or would like one for someone special in your life. Or you can comment here if that’s easier for you. A relatively impartial judge (she a RELATIVE, and sort of impartial) will let you know Monday who won and we’ll get an autographed copy in the mail to you. Be looking for photos from my time at Denver University and the cool climes of Colorado. Posted on July 6, 2012, in FREE FRIDAY. Bookmark the permalink. 4 Comments. I would love a copy for my baby girl! I met your daughter Sarah on a mission trip in Honduras 8 years ago. I now live in West Texas with my husband and 5 month old. Always looking for more books for Little Miss! Plus, we are a little starved for wildflowers (and flowers in general) out here. Hi Cherie! It has been a long time! Chris and I stumbled across your website a couple of months ago, and I have been following you thinking you would speak in the Ft Worth area and I could come and see you! I would love to see you! Rob is getting married in March and his fiance is going to teach K-2 and i would love for her to have a copy for her classroom, although I may have to buy it for her, because I would like a copy for my library as well! Enjoy your time in Denver and let us know if you get out this way! Chris and Vanessa Drake!